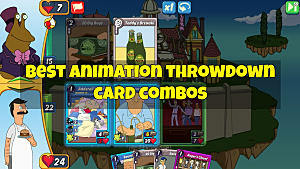 Having a single undefended lane in an Animation Throwdown match can quickly lead to an un-winnable situation, which is why you want your cards to stay alive as long as possible. 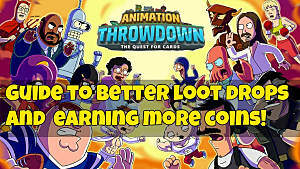 Below we cover some of the best defense combos around, focusing on common and rare cards. 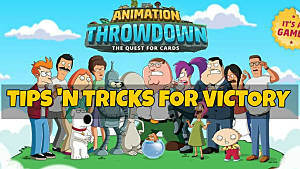 I'm assuming if you've got a deck full of epic or legendary cards, you already know how to put up a good defense. Before using any of these combos, ensure both base cards are as upgraded as possible – either card being lower level will result in a less powerful combo. Having both Sturdy and Cripple at the same time offers a one-two punch: damage is reduced directly, and the opponent will deal less damage against Drunk Zoidberg. 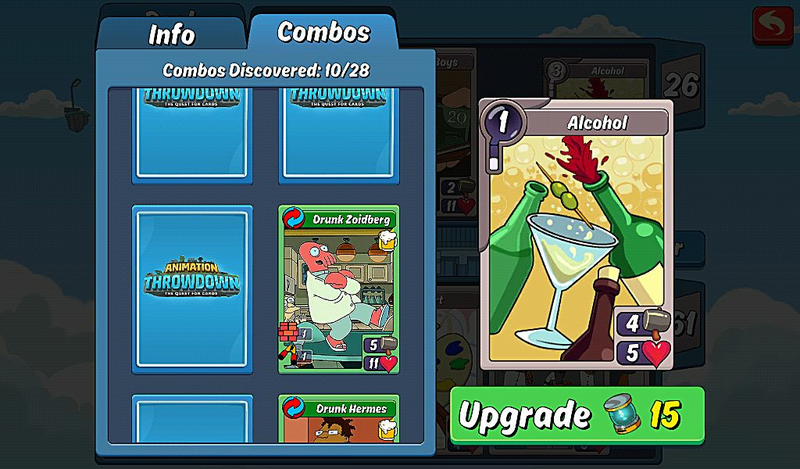 Get some alcohol in Zoidberg, STAT! 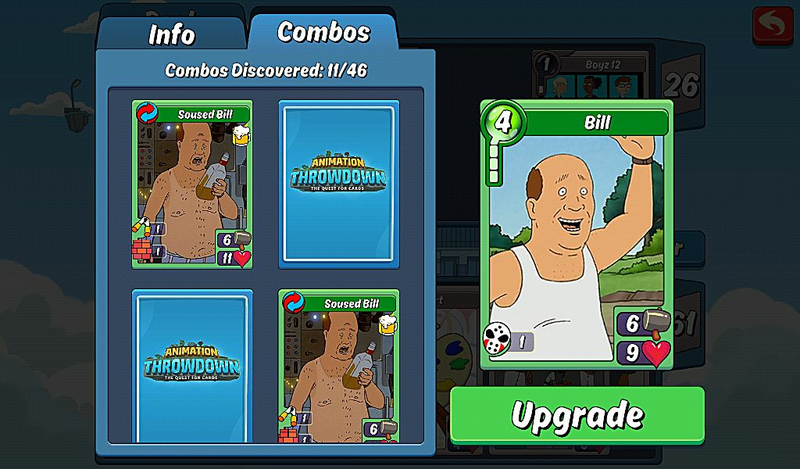 Even better than Drunk Zoidberg, a Soused Bill has Sturdy and Cripple All, meaning he'll reduce the effectiveness of all enemy cards every turn. Not much fun, but he's great in a fight! The Sturdy skill deflects damage, while Boost makes DJ Klaus a bigger threat in combat whenever you play a combo, and Cheer beefs up a nearby card. It's an excellent all-around combo in any situation. 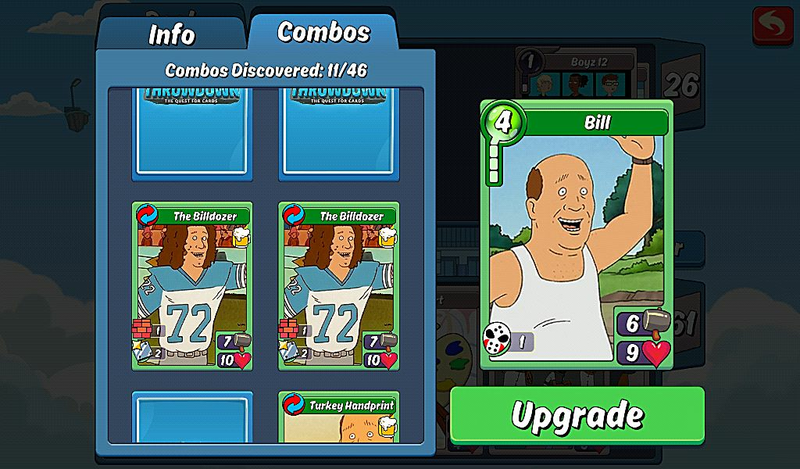 Combining Luanne with an Elzar's Fine Cuisine card offers a potent combination. 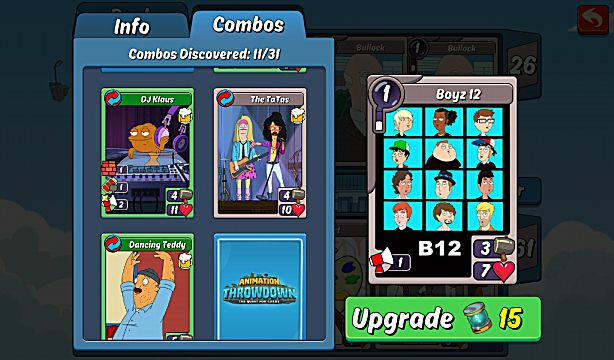 Server Luanne has Heal to keep your existing cards healthy and Jab to overcome enemy defenses like Sturdy. 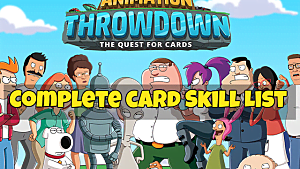 This is a great combo to have in reserve when it seems like the opponent has the upper hand. 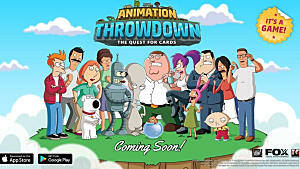 Mixing Quagmire with a Petercopter gives this excellent defensive-minded combo. Not only does Commercial Pilot Heal at a high rate, but also has the Shield All skill, which prevents damage to each card on your line every single turn reliably. The best defense is a good offense, and you get both when you combine Teddy and Paintball With Guns. The Hammer Olympian boasts the Recover, Punch, and Crazed skills. This results in sort of an unkillable card, because it heals itself, automatically drops the enemy health before attacking, and raises its own attack every turn. Another solid offense and defense card, The Billdozer has Sturdy and Shield, with Crazed getting added at higher levels! 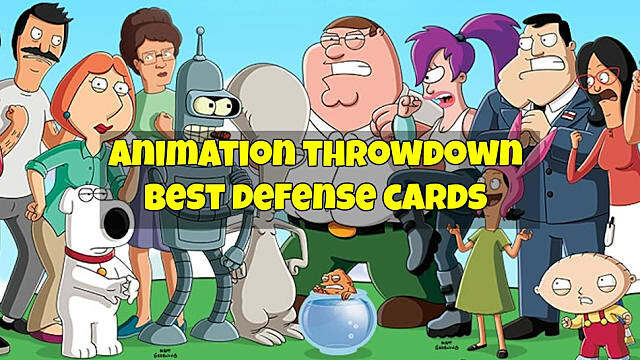 These are some of the best Animation Throwdown defense cards we've found so far - what combos are you using to stay alive in Adventure and Arena matches? 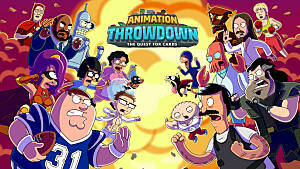 Animation Throwdown Guide: How Much Does the Research Accelerator Actually Help?